Building the Inclusive City Theory and Practice for Confronting Urban Segregation | Free eBooks Download - EBOOKEE! Urban segregation is one of the main challenges facing urban development around the globe. The usual outcome of many urban development patterns is an unequal social geography, with the urban poor living in large clusters that are remote, isolated, dangerous or unhealthy. The result is inequality in a number of dimensions of urban life, from deficient urban access, services or infrastructure to social isolation, neighbourhood violence, and lack of economic opportunity. 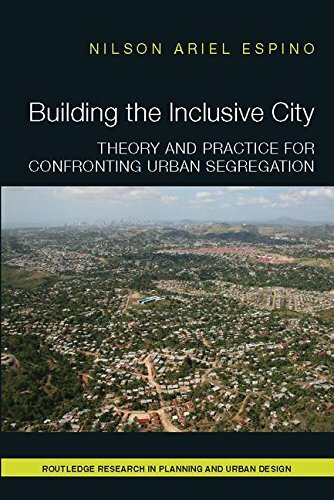 This book brings together debates on ethnic and economic segregation, combining theory and practical solutions to create a guide for those trying to understand and address urban segregation in any part of the world, and integrate ameliorating policies to contemporary urban development agendas. No comments for "Building the Inclusive City Theory and Practice for Confronting Urban Segregation".